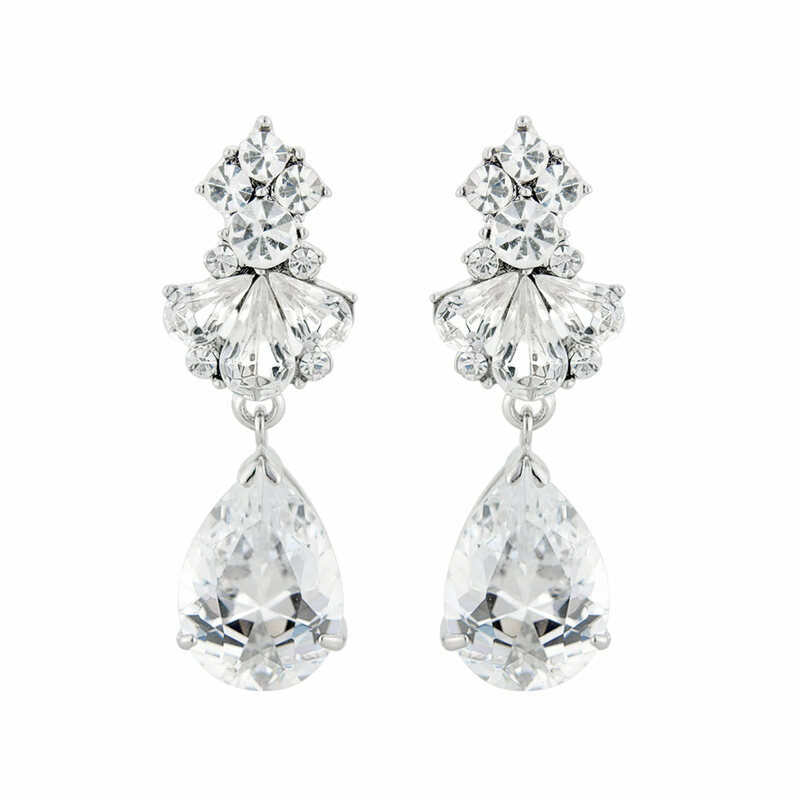 Inspired by the timeless glamour of 1940s Hollywood, these are sensational crystal drop earrings. Inspired by the timless glamour of the jewellery worn by the iconic 1940s Silver Screen Starlets, these sparkling silver tone drop earrings are sensational. Featuring a stud of clustered crystals with a fan of pear cut crystals leading to a dramatic pear cut drop, they are the epitome of classic vintage glamour. So versatile, these drop earrings are perfect for every occasion which calls for a touch of timeless style - accessorize an evening gown by teaming with a statement cuff bangle and cocktail ring for movie star chic or wear alone with a simply black sweater for a dinner date. Exquisite wedding earrings for brides who adore vintage costume jewellery, they compliment an antique inspired bridal gown to perfection and look divine coordinated with a statement headpiece. I bought these to match the necklace and was concerned they may look OTT together, but they are so beautiful, I love them! Wearing them at my wedding and can't wait!